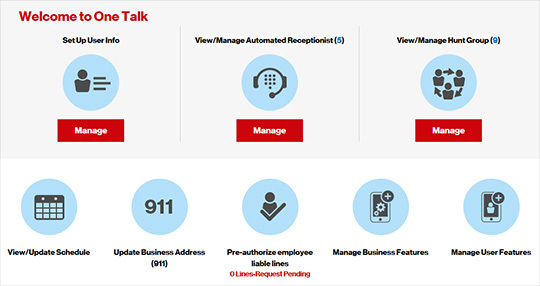 One Talk Portal sends an SMS notification to the employee's number after the validation. 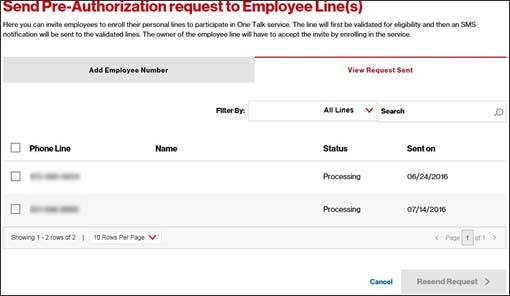 From the quick tasks section, click Pre-Authorize Employee Lines. 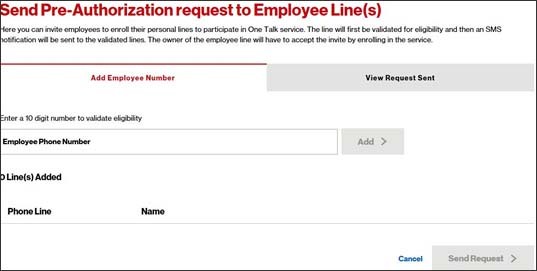 From the 'Add Employee Number' tab, enter 10 digit employee phone number then click Send Request. Click View Request Sent to review status of the sent requests. If needed, click Resend Request.